When District financier William Wilson Corcoran’s collection outgrew its original space (now the Renwick Gallery, see right), gallery trustees engaged architect Ernest Flagg to design its current Beaux Arts building, which opened in 1897. 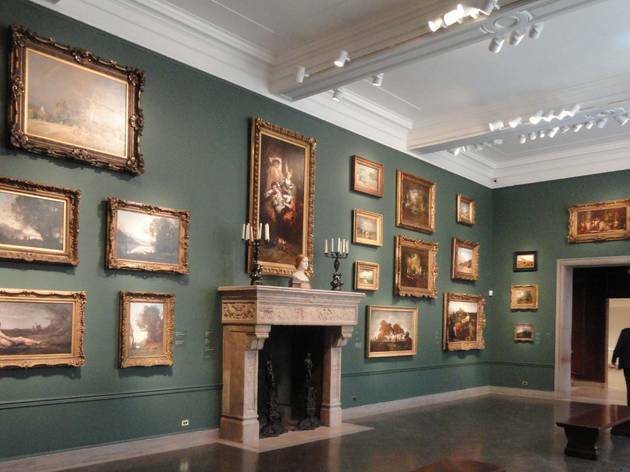 Despite significant bequests that added the minor Renoirs and Pissarros that now grace the wood-paneled Clark Landing, the Corcoran’s strength remains its 19th-and early 20th-century American paintings, featuring landscapes of the American West by Albert Bierstadt, Frederick Church and Winslow Homer. Church’s mammoth oil, Niagara, and Bierstadt’s Mount Corcoran capture 19th-century Americans’ awe of the western landscape, with idealised, almost fantastical portrayals of western scenery. 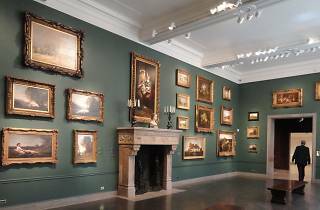 The museum’s 6,000 pieces also include more European art (especially 17th-century Dutch landscapes, 18th- and early 19th-century British paintings, and 19th-century French paintings), contemporary art (with work from post-war artists including Willem de Kooning, Ellsworth Kelly and Cy Twombly), photography, prints, drawings and sculpture. Notable displays include the Evans-Tibbs collection of African American art and drawings by John Singer Sargent. Special exhibitions also highlight contemporary work, such as Ellen Harvey’s installation, The Alien’s Guide to the Ruins of Washington, DC, which envisages the city 10,000 years in the future, and was shown in 2013. Corcoran Uncorked events, on Wednesday evenings (admission $15 including one drink), feature special tours, music, exhibition viewings and artist appearances, with food and drink from Todd Gray’s Muse at the Corcoran.